Crime victims in Cumberland County are honoring their past and creating a brighter future. Thursday night dozens gathered for the county’s annual Victims’ Rights Rally to honor crime victims and those who advocate for them. Multiple officers and members of organizations that help victims were honored at the rally. Organizers said they go above and beyond to help victims. The award presentations were followed by a one mile walk around downtown Carlisle. The many people and their footsteps symbolized those who stand behind crime victims through some of the worst moments of their lives. “To this day I feel inspired to have them around me and knowing them and getting their help day after day,” explained Nancy Chavez. Chavez had never stepped foot in a courthouse until 2003 when she learned her daughter was stabbed to death. One of the men convicted of the killing was her daughter’s own husband. “I couldn’t protect her from the terrible monsters,” explained Chavez. Chavez had been a victim of domestic violence herself, but never did she think her daughter would too. “I have felt and do feel a lot of parental guilt and self-blame,” said Chavez. But, Chavez said now she’s in a better place. At the rally she was invited to share her story with other crime victims and some of the many people who helped her find her way. “They held my hand and they helped me and to this day they continue to make sure I am informed of any movement of the two individuals that killed my daughter but also any changes,” said Chavez. The district attorney, detectives and the people who work in the victim’s service office guided her. Eventually, she decided to give back. 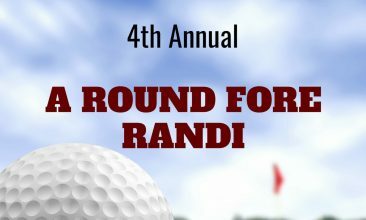 She’s created Randi’s Race to raise money for domestic violence victims and an organization, Randi’s House of Angels, to help kids impacted. “What I do is I take my experience and my advocacy and continue to provide that to other victims of domestic violence,” explained Chavez. 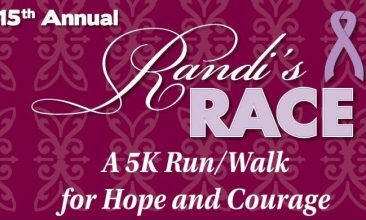 CBS 21’s own Sherry Christian is hosting this year’s Randi’s Race. You can join her and Chavez May 11th in Enola.